EnglishRecently I received the colorful All Sewn Up book by Chloe Owens and thought that many IB-ers would have liked to know something more about it, so here I am to make a little review. 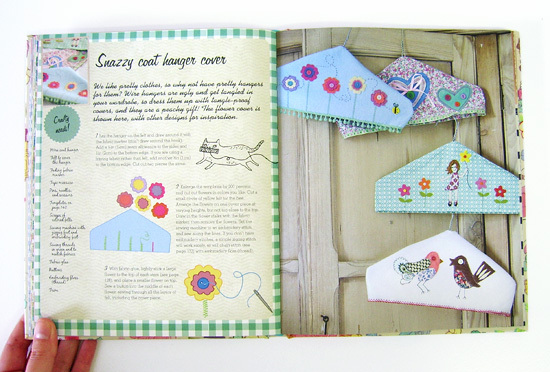 The book has a hard cover and 144 pages that feature 35 crafty projects. They’re divided into 5 chapters: Cooking up a storm, Cuddly companions, Gifts, Rest your weary head and Decorations. 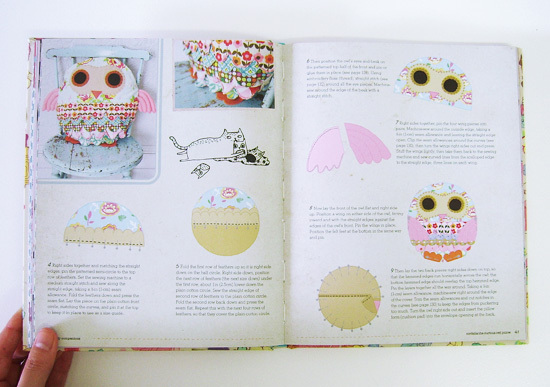 Each project has step by step instructions, cute illustrations and photographs. 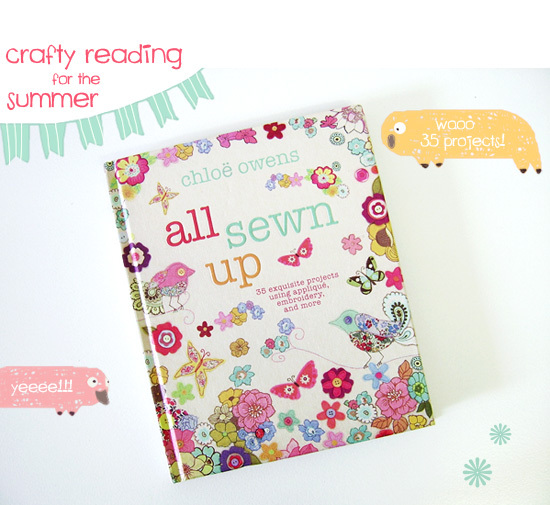 Chloe Owens is a textile artist so all the DIY tutorials you’ll find in the book are mostly about sewing and embroidering. 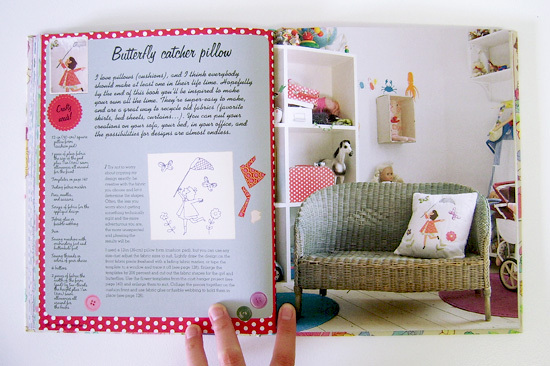 The book is very inspired by the colorful fabrics and mood of 60’s. Apron, tea towel, tea cosy, oven mitts, doll, plush, pillow, doorstop, baby bib, hanger cover, tote bag, laptop cover, brooch, eye mask, bunting, flowers, appliqué illustration… are just some of the things you’ll find inside. 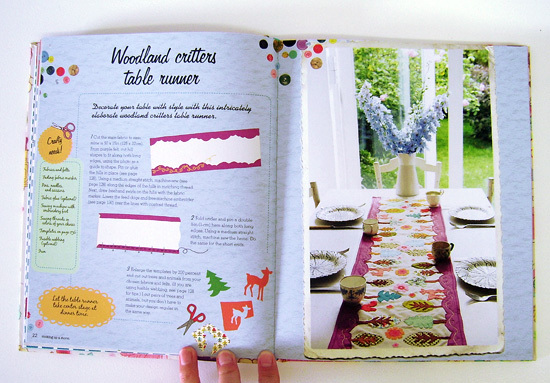 Even if I’m not particularly fond of the 60’s and 70’s retro style on crafts, I think that the book is really nice. 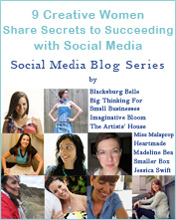 Following these ideas is also a good way to learn and improve our skills with needle and thread! Chloe uses a wide variety of techniques. 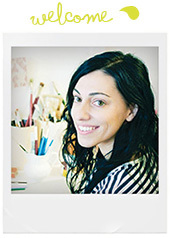 Oh and love the company of little lovely cats all over the book illustrated by the amazing Gemma Correll! You can find it also on Amazon.com. 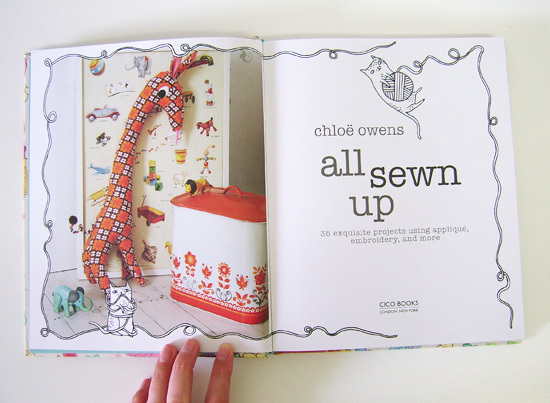 italianoRecentemente ho ricevuto il colorato libro All Sewn Up di Chloe Owens e ho pensato che a molti IB-ers sarebbe potuto interessare saperne qualcosa in più, così eccomi con una piccola recensione. Il libro ha una copertina rigida e 144 pagine con 35 proggetti fai-da-te diversi. Sono divisi in 5 capitoli: Cucinare a tutto spiano, Teneri compagni, Regali, Riposa la tua stanca testa e Decorazioni. Ogni progetto è fornito di istruzioni passo passo, belle illustrazioni e fotografie. Chloe Owens è un artista tessile e quindi tutti i tutorial Fai-Da-Te che troverete nel libro sono principalmente di cucito e ricamo. Il libro si ispira molto allo stile e alle stoffe colorate anni ‘60. 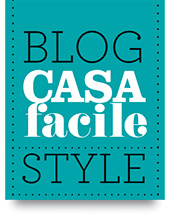 Grembiule, strofinaccio, tovagliette da tè, guanti da forno, bambole, peluche, cuscini, fermaporte, bavaglini, rivestimenti per grucce, tote bag, fodera per laptop, spilla, maschera da notte per occhi, bandierine, fiori, illustrazioni applicate e ricamate… sono alcune delle cose che troverete all’interno. Anche se in questo momento non sono particolarmente amante dello stile retro anni ‘60 e ‘70 nel fai da te, penso che questo libro sia davvero carino. Seguire queste idee è anche un buon modo per imparare e migliorare le nostre competenze con ago e filo! Chloe usa una bella quantità di tecniche diverse. E amo la compagnia dei piccoli gatti sparsi per tutto il libro illustrati dalla fantastica Gemma Correll! Lo trovate anche su Amazon.it. ne ho seriamente bisogno. ora. ahahaha :)bellissimmmmooooo! It looks like a funny and unconventional book. I’m going to write it down in my wish list! 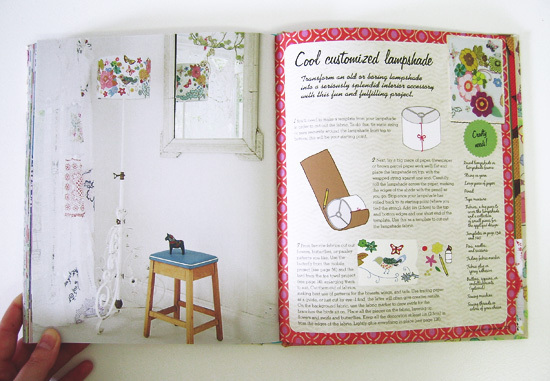 Yeeep, I like books with many DIY projects inside!